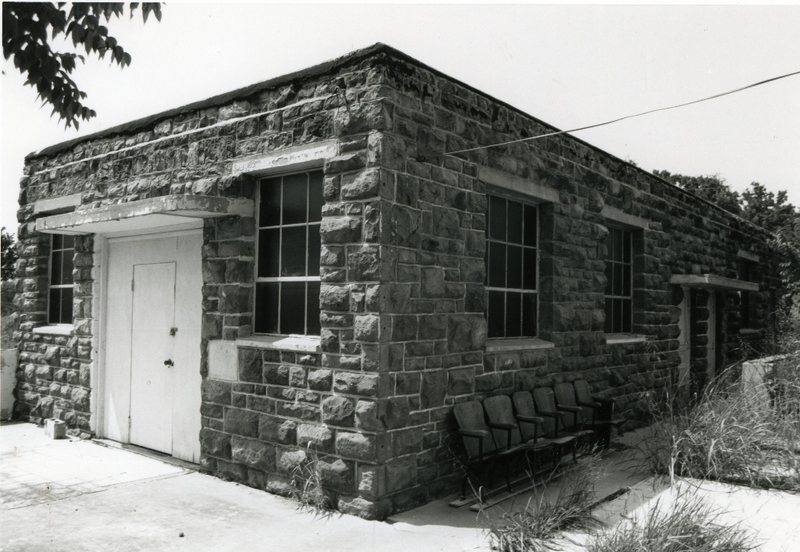 “This is one-story native stone building once housing a Vo-Ed [Vocational Eduction] school operation. 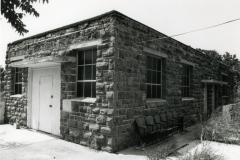 There is a wooden sign above a door which reads “HOUSE OF MANNA” and it is possible the building is being used in some way by the church. 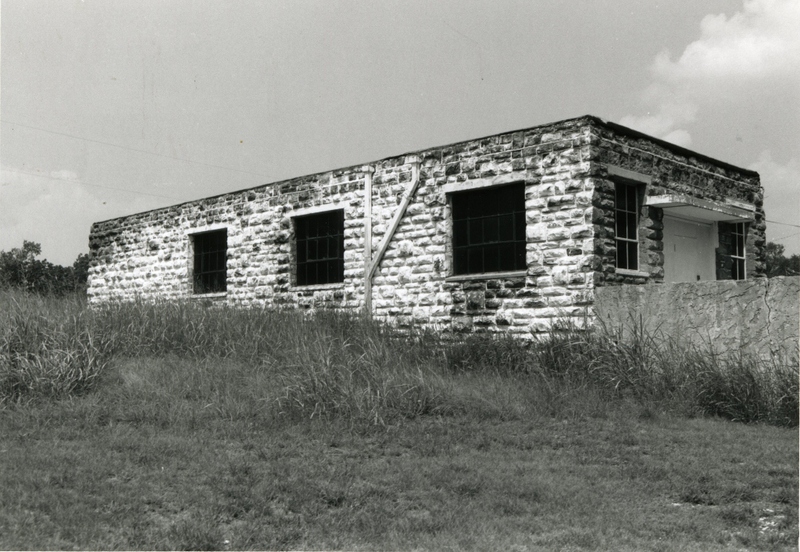 The Oklahoma Historical Society records show that this building was constructed with an appropriation of $19,779 in 1937. 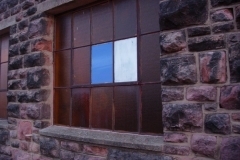 It was once enclosed by another building, which was removed in time past. 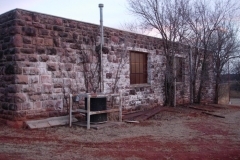 The building is rectangular with a flat roof. 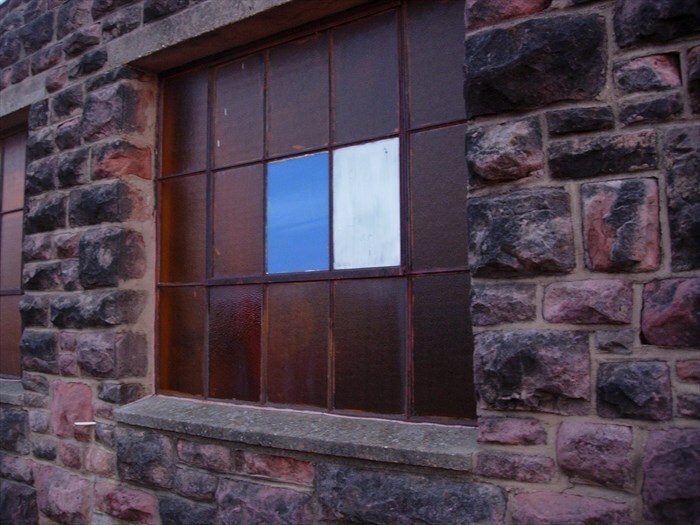 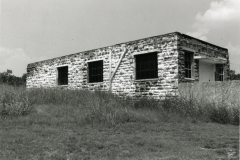 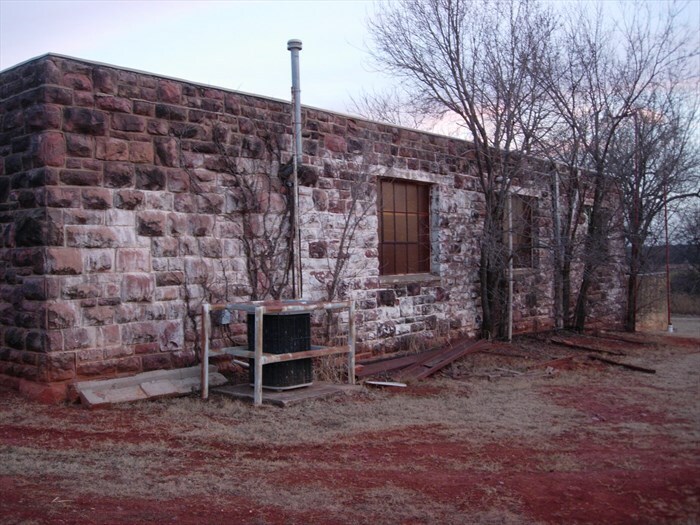 The building appears to be structurally sound, however, it is not being kept up…A small concrete area set into the stone to the right of the south door may have been the original cornerstone or WPA identification, but the concrete has no markings at this time.